1. 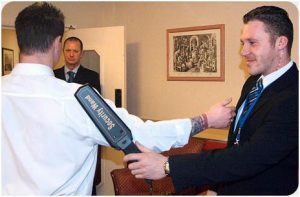 Understand the role of a security officer within the private security industry. 1.5 Define the term ‘confidentiality’. 2. Understand the importance of, and reasons for, patrolling. 3. Understand the control of access and egress to a site. 3.4 Explain the powers and identification requirements of statutory agencies relating to access and egress control. 4. Explain and identify basic search procedures. 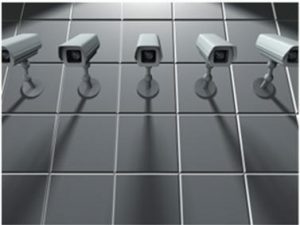 5.7 Briefly describe potential threats to electronic and physical protection systems. 6. 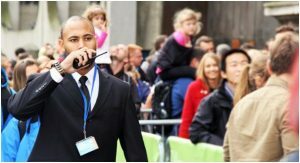 Understand the law and its relevance to the role of a security officer. 7. Understand reporting and record keeping relevant to a security officer. 7.5 Explain the content and importance of a hand-over report and briefing. 1.6. Identify appropriate measures to reduce or eliminate the risk. 1.9.Choose the most appropriate responses to a situation involving potential conflict. 1.12. Demonstrate an understanding of the attitude/behaviour cycle and how to prevent escalation. 2. Understand how to use communications effectively in difficult and emotive situations and to de-escalate conflict. 2.3.Recognise the importance of non-verbal communication when dealing with emotionally charged situations. 2.8.Recognise the importance of providing exit routes and space when dealing with an angry person. 3. Understand how to identify simple strategies for resolving conflict and how they can learn from conflict. 3.3.Recognise a win-win approach to dealing with conflict situations. 3.7.Recognise the importance of contributing to long term solutions to re-occurring problems and issues.